Let’s admit it, unless you are a retailer Christmas doesn’t really enter your mind until you realise you have some bulk gift shopping to do. So, for you to be able to complete that exciting exercise, retailers generally start planning their new Christmas offering as soon as the….previous Christmas finishes. 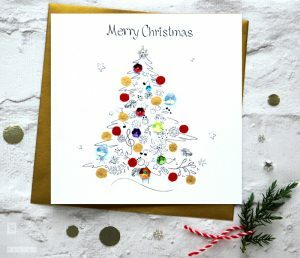 We, as a publishing house, have to be even further ahead of retailers, therefore Christmas for us all year round design job. 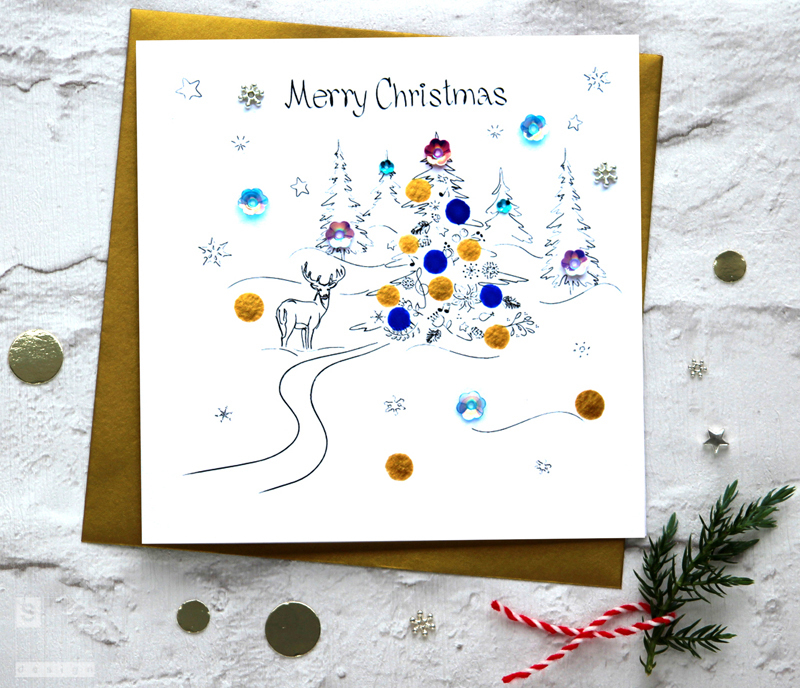 For Winter 2016 we have expanded our best-selling range Bijoux with 40 open and occasion captions for Christmas. 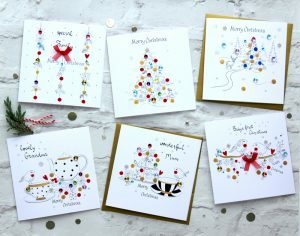 The contemporary range features delicate line work with pops of red and gold dots and on-trend hand-lettering. 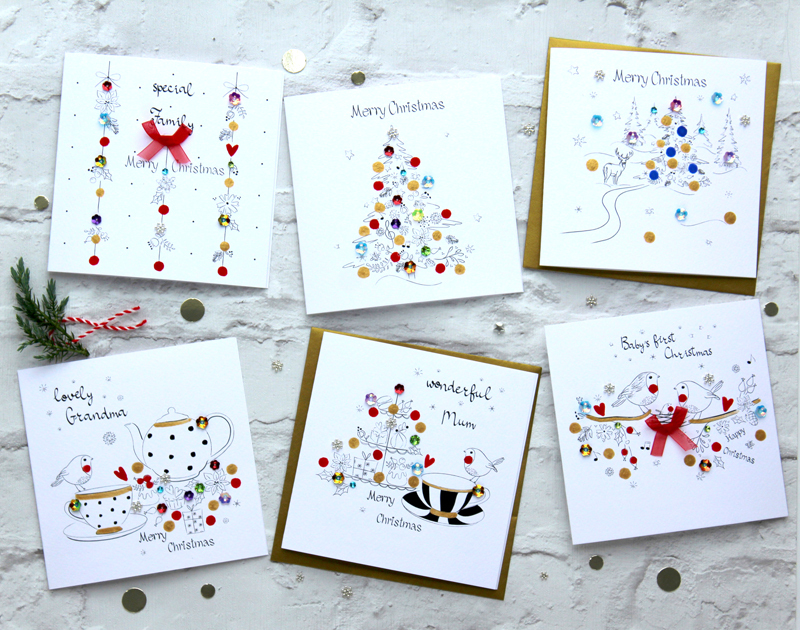 The designs are hand-illustrated and hand-finished with cup flower jewels and red festive bows. 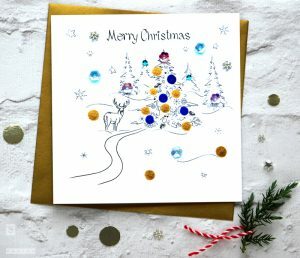 We proudly design and finish our cards here in England. They are competitively priced, 145 mm square, wrapped in gold envelopes and cello bags. Retailers can benefit from complementary change of captions to suit their customer profile. 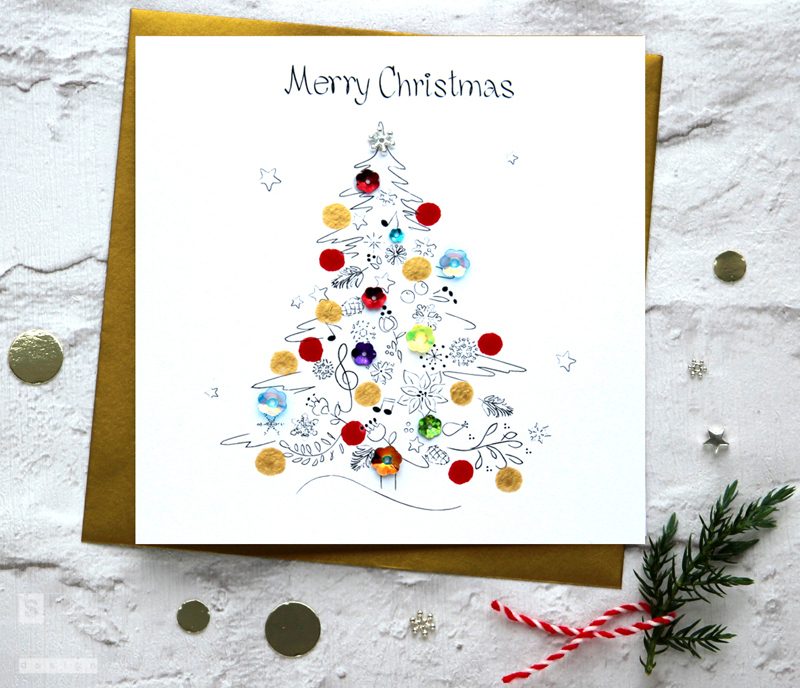 If you are a gift retailer reading this blog post and feel our cards would be loved by your customers, simply get in touch and we will send a catalogue and a sample card along. Alternatively, if you wish to see the while range in the flesh, we will be showcasing it for the first time at Autumn Fair in September 2016. Find us on stand 4D26.